Why the GST information shown in the Description column of the Sales Invoice? 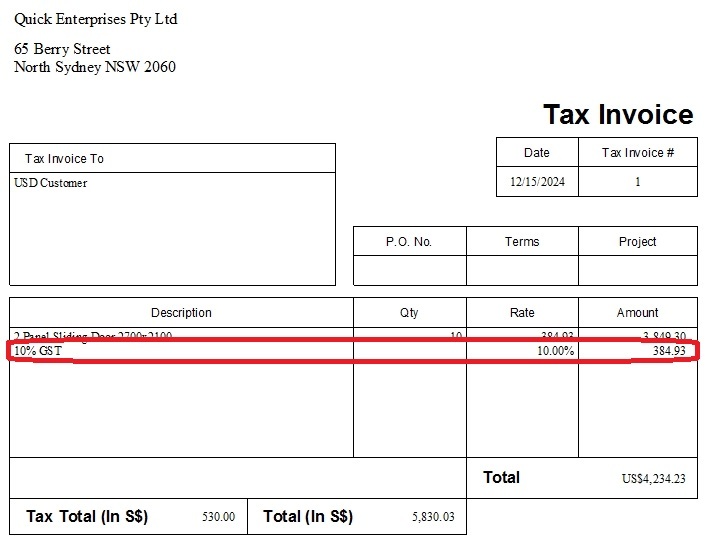 This problem is due to the Tax Total field is not set to print on the Sales Invoice. You may edit your invoice template, click the Additional Customisation button, go to the Footer tab and check the Print checkbox of the Tax Total field. Now, the Taxes will be printed in the Tax Total field (at the Footer) instead of printed in the Description column. This entry was posted in Accounting, QuickBooks, QuickBooks 2009/10, QuickBooks 2011/12, QuickBooks 2012/13, QuickBooks Asia, QuickBooks Australian version and tagged accounting software, GST, QuickBooks, QuickBooks Asia, QuickBooks Singapore, Singapore, Small Business Accounting Software, software, Template. Bookmark the permalink.